The coloured stones market remains strong, so Skinner can expect strong international competition for an antique sapphire pendant brooch (below) in Boston on September 19. 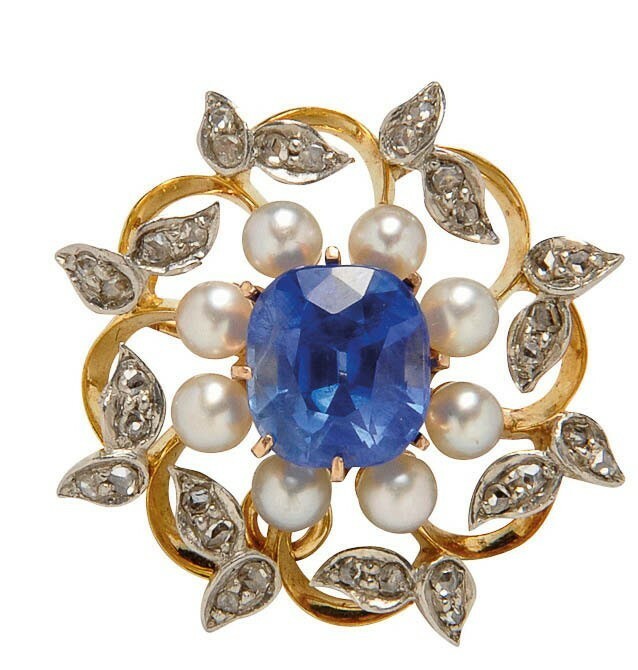 Skinner is offering this antique sapphire pendant brooch in Boston on September 19 estimated at $25,000-35,000. The central cushion-shape sapphire weighs 3.46 carats and is accompanied by an AGL report stating that the sapphire is Kashmir origin with no evidence of heat treatment.